Last week, we touched on two types of beliefs held by sales teams today: outdated beliefs that are holding teams back, and new, Lean Thinking beliefs. The new beliefs can seem at odds with what was taught before the Internet age. But, as everything else in a business becomes more modern, sales techniques need to adapt as well. You can read about the first four beliefs that differ from the old style of selling by clicking here. 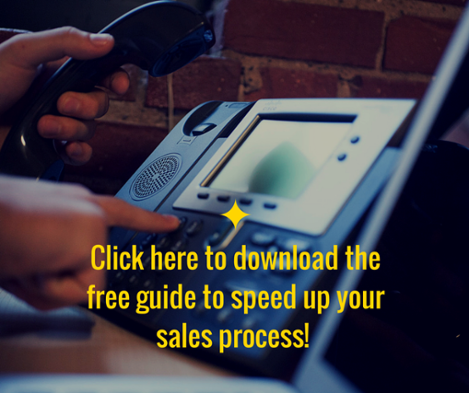 Improve your prospecting dramatically with this unconventional guide – one that enables your sales team to be stricter when they qualify potential leads. Click here to download! One of the biggest things that differentiate a great salesperson from one that’s just trying to make a buck is the idea of who wins and who loses in the sales process. The outdated style of sales, “The Wolf of Wall Street” type of salesperson, views the process as win-lose. Either the salesperson wins and the Buyer loses, or the Buyer wins and the salesperson loses. Is turning a sale into a battleground really beneficial to either party? This is where the Lean Thinking belief of strive for the win-win solution comes into play. You may think this idea is a bit trite, but the Buyer sure doesn’t. Buyers don’t want their interactions with a Seller to feel like a competition. They don’t want to think that if they make a misstep, they lose out. If your salespeople focus on how the Buyer can benefit the most from interacting with them, your salespeople also win—they make a sale (or gain a referral). This leads well into the next belief that could use an update—viewing the sale as a single transaction, rather than as building an on-going relationship. Even for sales that are extremely transactional, such as selling a smartphone, by treating the sale as building a relationship, rather than a single transaction, the Buyer is more likely to make a decision. Not only are they more likely to make a decision, but they’re less likely to feel buyer’s remorse, and far more likely to refer other business to you. Even so-called “single transaction” sales like these have elements similar to sales that are traditionally considered “relationship based.” People buy from salespeople who they feel they know, like, and trust. When you treat each sale as the beginning, or a step, towards a long, mutually beneficial relationship with the Buyer, the Buyer has a better experience and is more likely to continue to buy from you. The next belief involves the approach to the sales conversation. The old way to treat a conversation is as a confrontational battle of wills, the Seller versus the Buyer. Alternatively, for less dominant personalities, the salesperson acts in a submissive role, bending over backwards for the Buyer without asking for anything in return. 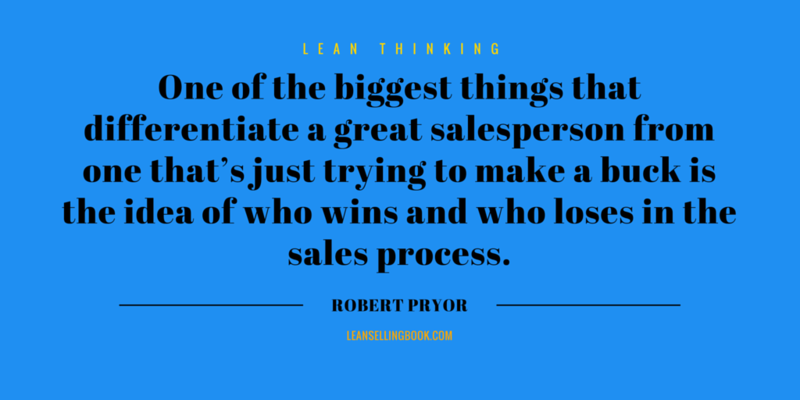 Instead of either extreme, the Lean Thinking approach is to treat sales as a collaborative process. The Buyer knows more about their particular problem and its needs than the Seller does, and the Seller knows more about the potential solutions than the Buyer does. By turning the sales process into a working partnership, it stops being a battle of wills, and the Seller doesn’t have to grovel at the Buyer’s feet to get the sale. The biggest shift your selling system has to make is in how quotas are viewed—a tough change for both managers and the organization to swallow. Sales quotas are typically viewed as the most effective way to control salespeople’s behavior. But are they? While an important metric in setting goals, quotas should not be the sole driving force behind a sales process. Achieving quota has become a key barrier to making a sales department more effective. 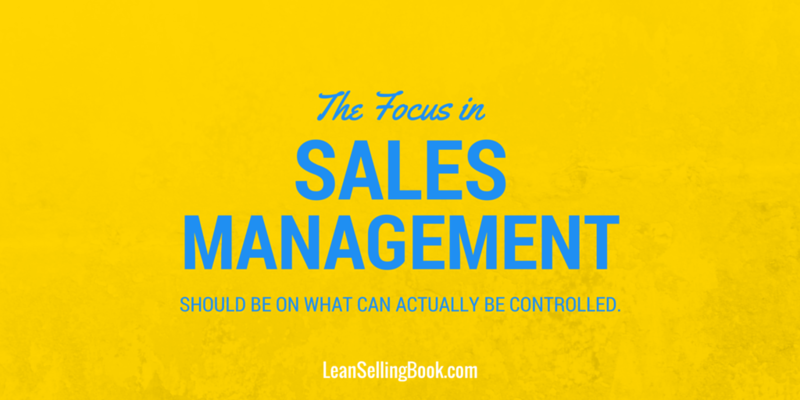 Instead, the focus in sales management should be on what can be directly controlled. Achieving a quota is the result of a series of activities, not something that your salespeople can directly perform. By focusing on the causes that lead to certain outcomes, and then putting more effort where you think it can yield better results, you’ll be able to directly see what is or isn’t working for your sales team. It’s this ability to drill down to the specific parts of the sales process that are—or aren’t—working that makes Lean Selling work so well. You’re able to find ways to shorten your sales cycle, increase your close rate, even have a happier and more engaged sales team—all by doing activities that also lead to happier Buyers. 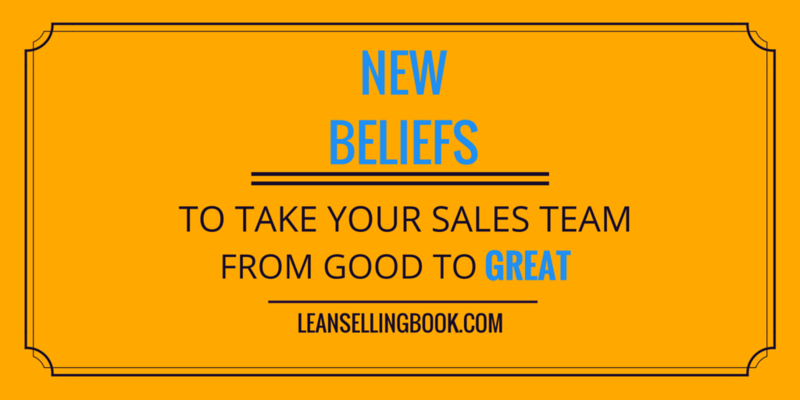 The beliefs that are holding your sales team back are beliefs that are outdated and rooted in a time before Buyers had so much information at their fingertips. Rather than complaining about that and continuing to try to make old selling methods work, try adapting and embracing change.